All businesses in the town centre have had a chance to enter for the awards. The main categories will be judged by an independent, professional judging panel who will be carrying out mystery shopping visits to determine the winners. 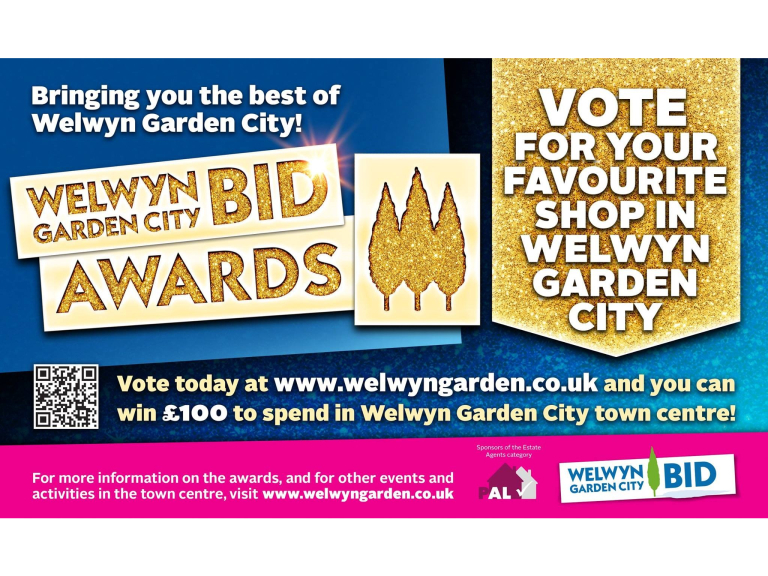 The ‘People’s Favourite’ award is going to be decided by members of the public, who are invited to choose their favourite business from a list of nominees on the WGC BID’s website www.welwyngarden.co.uk. Visitors to the town can then be in with a chance of winning £100 to spend in the town centre, plus an invitation to the awards ceremony. The Welwyn Garden City BID Awards recognise the town centre as a great place for shopping, relaxing and enjoying great customer service. There are some new categories this year such as the Estate Agents which is sponsored by PAL. All the winners will be announced at the awards ceremony on the evening of 2 November, further details will follow. OJ Daya, Waitrose Manager and Chair of the Welwyn Garden City BID, said: “We know that good customer service leads to customer loyalty and the WGC BID Awards offer a chance for us to recognise the hard work businesses put in to keep our town centre alive and thriving. As the judging will be carried out by mystery shopping, it will help businesses understand how they can improve their service and make the town centre known for our fantastic customer service. The initiative is delivered by the Welwyn Garden City BID who brings together all the businesses in the town centre. Three of thebestof WelwynandHatfield members are taking part, you can find out more about each of them below.